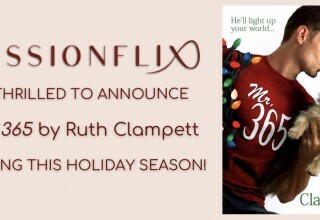 PASSIONFLIX collaborates with Canada's Reel One to bring Ruth Clampett's novel 'Mr. 365' to the screen, this holiday season. 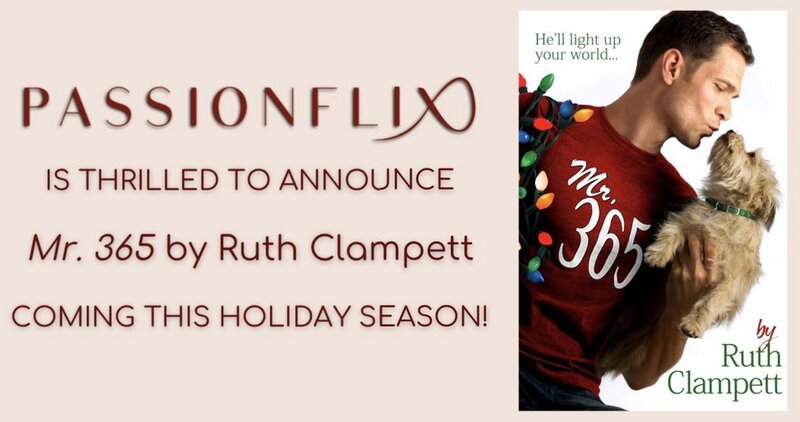 PLAYA VISTA, Calif., September 18, 2018	(Newswire.com) - PASSIONFLIX is thrilled to announce Ruth Clampett’s holiday romance Mr. 365 will be exclusively available on the platform this holiday season! Mr. 365 marks Passionflix’s first co-production with Canadian entertainment company Reel One. Ruth Clampett aims to infuse humor, drama, and passion into the romantic lives of strong heroines and heroes and their worthy and determined counterparts. In addition to Mr. 365, Clampett has written seven novels including Animate Me and the Work of Art trilogy. Christie Will Wolf, who previously directed films such as Slightly Single in LA and A Wish for Christmas, will direct, with Gary Goldstein adapting for the screen. Casting for Mr. 365 is currently underway and will be in production in Canada soon. The film is set to be released exclusively on Passionflix this holiday season. ‘Mr. 365’ will be joining Jill Shalvis’ The Trouble with Mistletoe, in the Passionflix Holiday Originals. Subscribe here: PASSIONFLIX for unlimited access to PASSIONFLIX movies and series. Cancel anytime. Romance on demand is just a click away. Premiere Bobine is the parent company for Reel One Entertainment, Reel One International and Reel One Pictures (also known as Reel One). Reel One has its head office in Montreal (Canada), and offices in Los Angeles, London, and Vancouver. The principal business of Reel One is the development, financing, production, and distribution of commercial television films and television series, catering to broadcasters all over the world. Reel One is proud to produce and distribute high-quality content that is considered among the best in its niche. Are bodyguards this Spring's 'must-have' accessory? Newly launched, romance-only streaming service PASSIONFLIX releases New York Times bestselling author Jodi Ellen Malpas' 'The Protector.' Directed by Tosca Musk, the romance/action thriller stars Emma Rigby ('Hollyoaks') and Diarmaid Murtagh ('Vikings'). Available exclusively on Passionflix.com. Follow as PASSIONFLIX brings New York Times Bestselling Author Brenda Jackson's 'A Brother's Honor' to life. Moira Kelly, D.B. Sweeney starrer 'The Cutting Edge' now available on Passionflix.